Thanks Paula Deen for this terrific recipe! Preheat oven to 350°. Rinse the chicken and remove the skin and all fat. Pat dry; place in a large bowl and season generously with salt. In a small bowl combine Dijon, mayonnaise, lime juice, lime zest, garlic and pepper. Mix well. Pour over chicken, tossing well to coat. Spray a large baking pan with a little Pam to prevent sticking. Place chicken in baking pan cover with foil.. Bake 45 mins. take foil off chicken place under the broiler until it is golden brown. 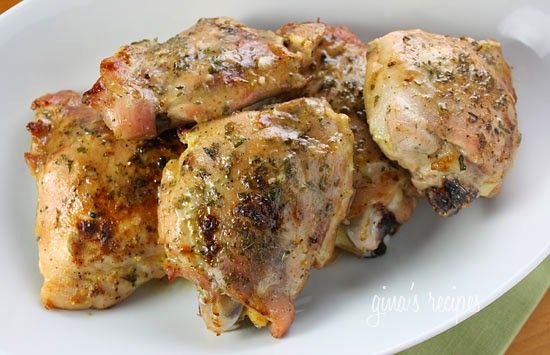 Serve chicken with the pan juices drizzled over the top and than add dried parsley.